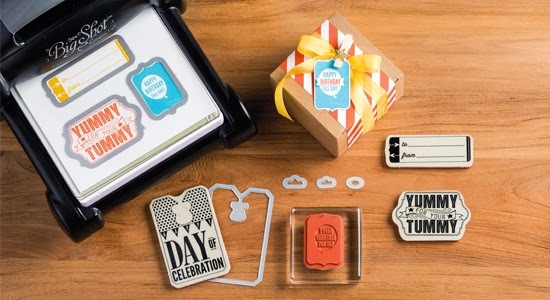 Stamp with Melva: Big Shot Promotion - Just in time to make some fabulous Christmas or Holiday cards! 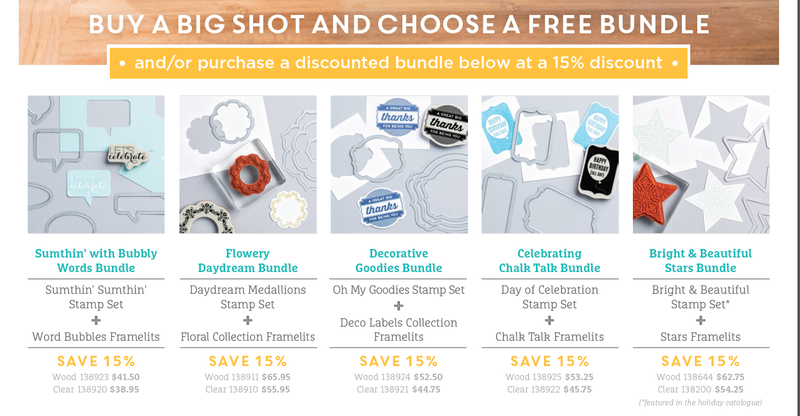 Big Shot Promotion - Just in time to make some fabulous Christmas or Holiday cards! I know that it's August 1st and it's too hot to be thinking about Christmas, or at least it feels that way on the West Coast, but there is a great offer from Stampin' Up! that starts today. If you buy a Big Shot you can choose from one of 5 bundles for FREE! And if you already own a Big Shot, you can purchase a bundle at a 15% discount. The new Holiday Catalogue will be available on August 28th so this will come in very handy to make some fabulous Christmas or Holiday cards. To place your order, go to my Online Store by clicking here or email me. If you want a Holiday Catalogue or an Annual Catalogue email me and I'll make sure you get! Happy Stamping and a have a happy long and safe weekend August long weekend.